Butter, we all know it and love it! At least, we love the flavor anyways. Butter was the enemy for a long time, but luckily, people are waking up to the fact that real butter is good. Actually it’s great, especially compared to those fake butters that started being created as the fad of fearing butter spread. Butter, grass-fed butter to be specific, is making a comeback as a healthy choice and here is why! Benefits: Grass-fed butter is a saturated fat, which is why it was demonized for so long. However, the theory that saturated fast causes high cholesterol and heart disease has been debunked and now we know that certain saturated fats are actually beneficial to healthy and balanced cholesterol levels. One of the most important nutrients found in grass-fed butter is vitamin K2, which actually de-calcifies your arteries, making it an extremely important component to heart health. Not only that, but it is loaded with an anti-inflammatory fatty acid called butyrate, which also combats heart disease since one of the driving factors of CVD is actually inflammation, not cholesterol. Again, be sure to purchase grass-fed butter to receive these benefits. 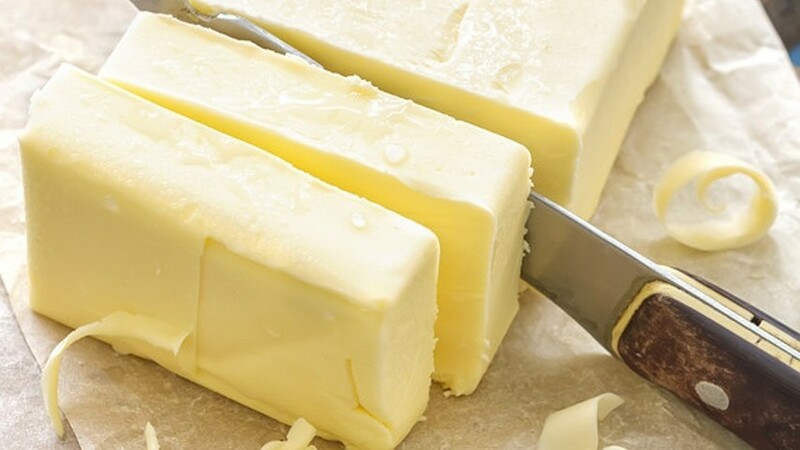 Grass-fed butter contains 10-13 times more vitamin A, 50% more vitamin E, 400 times more beta-carotene, 3 times more vitamin D, and more omega-3’s and CLA, as opposed to conventional butter. Also, since chemicals are stored in fat cells, you want to consume animal products, especially butter, that are the highest quality. How To Use: Most people know how to use butter, but let’s reiterate what it makes super delicious. Grass-fed butter is delicious slathered on breads, sweet potatoes, broccoli, and many other vegetables and foods. Plus, when you add butter to your vegetables, you are actually increasing the absorption of fat-soluble vitamins! Butter is also great for baking, so don’t fear making cookies and breads with butter! Like coconut oil, butter is best for medium heat cooking since it has a smoke point of 350°F/175°C. ** Store in the refrigerator in a covered container or in original packaging.